Jasmine Tea is tea—in this case green tea (head here for white tea with jasmine)—with added jasmine flowers. It is the most famous scented tea in China. 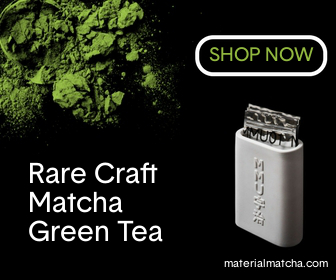 It is made by infusing the tea leaves with the scent of jasmine blossoms, which results in a sweet and smooth taste. The quality of jasmine tea depends on both the quality of the tea leaves used and on the number of times the scenting process is repeated. Varieties from Fujian province are generally considered the highest quality. This popular tea can be found in just about every tea shop or online vendor. If you are unsure where to begin, you can check out some of my recommendations below. These teas are relatively simple to brew, but can become bitter if steeped too long or if the water is too hot. Like most other green teas, green tea scented with jasmine should be steeped in cooler water than black or oolong teas. A temperature of 80°C (176°F) is a good starting point. To get this temperature, you can just use a simple stove-top kettle to bring the water to a boil and then let it cool down for about two minutes. It would be better to use a thermometer to more accurately judge the water temperature. In the West, many people will brew Jasmine tea in a teapot, while many Chinese will brew it in a plain 8oz glass. In tea shops, however, you will usually be served Jasmine Tea in a traditional lidded cup called a gaiwan. Place slightly less than 1 teaspoon of tea leaves in the gaiwan. Use twice this amount if you are brewing your tea in an 8oz glass. If you are using a teapot, use about one teaspoon for every cup of tea (or for every 4oz of water). Place the lid on the gaiwan and let the tea steep for 1-2 minutes. And that’s it. Enjoy your tea! 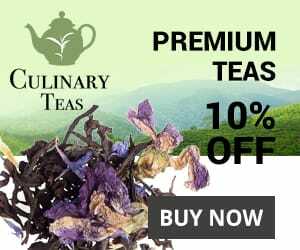 This video shows how to brew Jasmine Dragon Pearl tea. For those of you who have been asking about the pot in the video, I wrote a post titled Best Glass Teapot With Infuser. The highest quality jasmine green teas are the Jasmine Dragon Phoenix Pearl Teas. The name refers to the fact that the leaves with their white tips are rolled into tight balls resembling pearls. The next highest grade is the Sliver (or White) Tipped Jasmine Tea, named after the white tips on the leaves. I will give a few of my recommendations for each of these types followed by some recommendations for regular jasmine tea. The best value is the Jasmine Pearls by Art of Tea. It’s a high quality tea at a reasonable price. The Superfine Jasmine Downy Pearl Tea by Teavivre is also a good buy. It is much cheaper, but naturally the quality is also lower. Teavivre actually have 5 or 6 different varieties of Jasmine Pearl that might be worth trying. So far, I’ve only had the Downy Pearl (the highest quality). For those who prefer to shop at Amazon, my recommendation is this 1 lb bag of Numi Tea Jasmine Pearls . It’s the best value, but I actually think the Organic Jasmine Pearl by Rishi Tea is a slightly higher quality. The problem is the price is quite a bit higher and to me, the difference in quality does not justify the difference in price. The Jasmine Snow Bud from Teavivre is the best value in my opinion. The price is excellent and the quality is very good. The Silver Jasmine from Teavivre is a bit lower in quality, but it also costs slightly less. I’d go with the Snow Bud, if it’s available. Amazon does not have any good Silver Tip selections. My favorite regular jasmine is actually one made with Biluochun leaves, as I find the flavors work very well together. Teavivre has an even higher quality one made with regular green tea leaves called Bi Tan Piao Xue that is also excellent, but I prefer the one using Biluochun and think it’s a better value. Finally, for those who prefer Amazon, the Organic Green Jasmine from Rishi Tea is my favorite. For people who prefer tea bags, this 100 count box of Jasmine Tea from Stash Tea is also an excellent value. For more on jasmine tea check out the Wikipedia page.